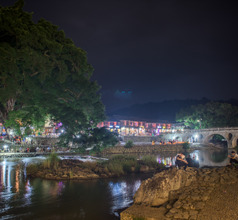 Fuzhou, the capital of Fujian Province, China has a picturesque location on the lower reaches of the Min River. 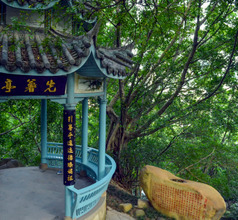 The city gets its name from the nearby Mount Fu, a famous scenic area and popular tourist attraction. 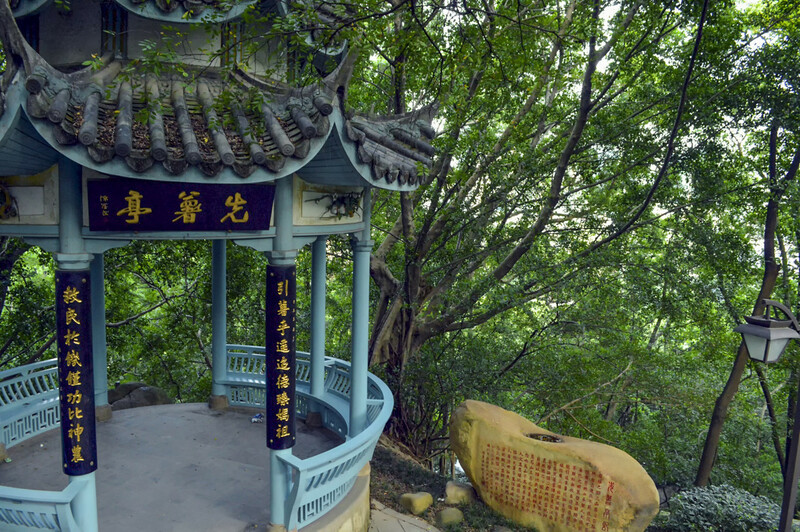 The mountain has blessed Fuzhou City with resource-rich surroundings and magnificent green scenery, rivers, waterfalls, and more. Lying on the northeastern coastline, the city also has several breathtaking beaches. 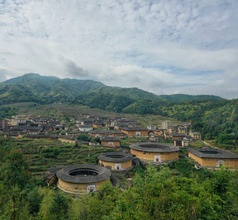 The city’s proximity to the Mount Wuyi Scenic Area, a UNESCO World Heritage Site adds to its appeal. 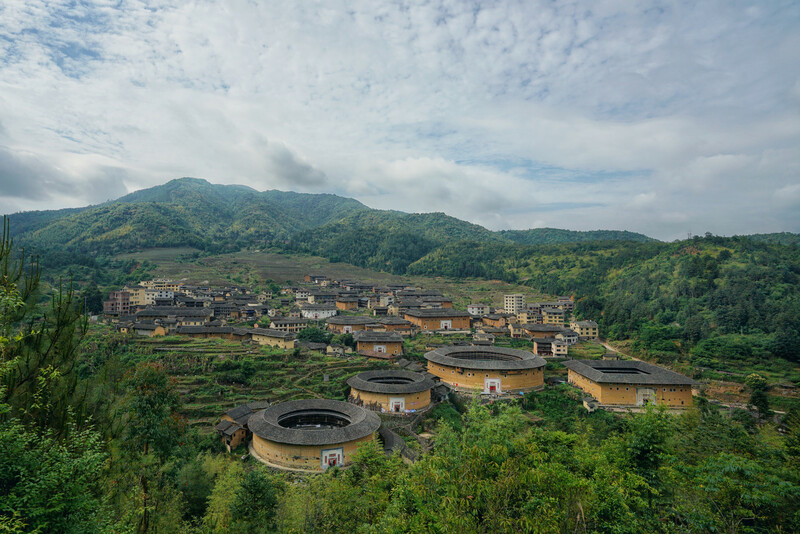 The two different types of landscapes and the perennially pleasant climate make the city of Fuzhou one of the most sought-after tourist destinations in Fujian Province. During the Song Dynasty reign, countless banyan trees were planted all over Fuzhou City so the city was also called Rong Cheng or Banyan City. These ancient trees still exist and have grown in height and width. In fact, the city boasts of having some of the largest banyan trees in China. While in the city one cannot miss the Mid-Autumn Festival on Pingtan Longfengtou Bathing Beach, when “eating the courtesy cake” is a popular, fun-filled event. With mountain peaks, water bodies, beaches, and forests, Taoist cultural relics, etc. 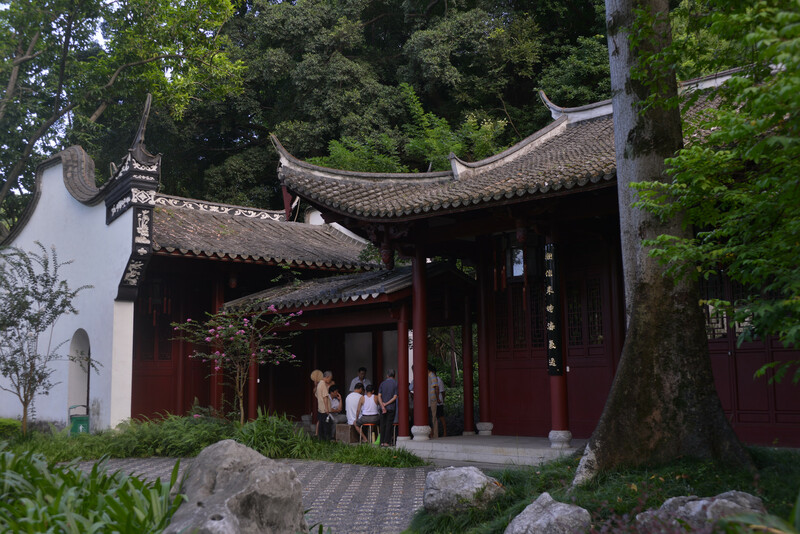 there is plenty to explore and do in Fuzhou. With so much to offer, it is little wonder that Fuzhou City has developed into a very tourist-oriented city with excellent accommodation, good public transport, and other amenities. 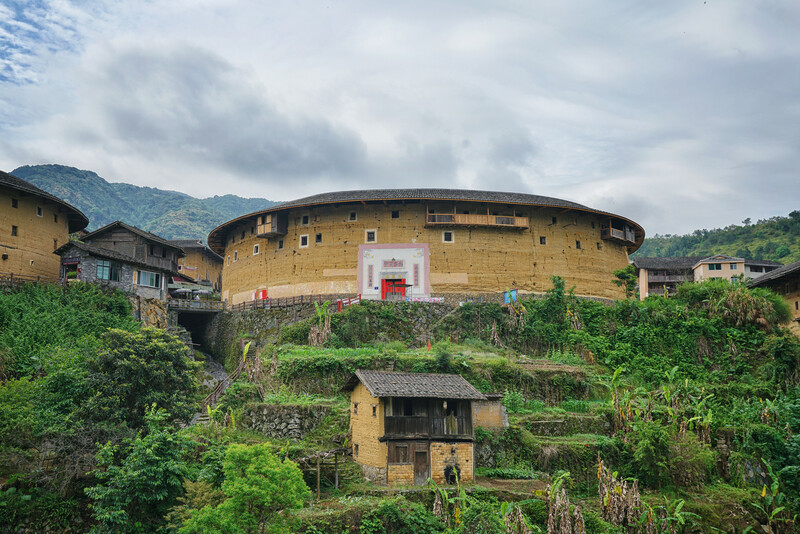 Going by the archaeological findings, there were human settlements in Fuzhou City region during the Neolithic era which is more than 7,000 years back. The city was officially established during the Han Dynasty period when it became a strategic trading port on the Ancient Silk Route. Therefore, the city has a rich political, financial, and cultural history that is rarely seen in one city. Being a prosperous business region, the ancient city had many affluent, educated, and cultured people living in the region. 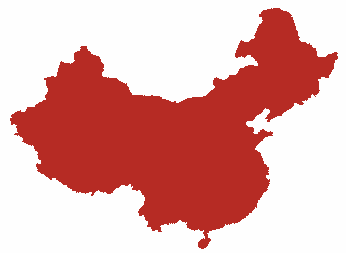 Many talented and successful businessmen, artists, authors, and academicians of China have come from Fuzhou City. Confucianism is an ancient culture that the local people imbibed and popularized. There is also a strong presence of Buddhist culture and some of the memorials and temples are more than 2,000 years old. There was and still is a culture of traditional art forms and architectural excellence in the city. In contradiction, it is also a leading city where education in science, engineering, and Information Technology is encouraged. The city of Fuzhou provides a lot of choice in comfortable accommodation. One can choose from 2, 3, 4, and 5-star, inns, service-apartments, inns, and youth hostels. A majority of 5-star hotels are well-known brands and they offer top-quality spacious tastefully decorated rooms and numerous amenities like International-style in-house restaurants, housekeeping, laundry, customized sightseeing tours, etc. The other hotels also offer good accommodation but the amenities vary according to their star-rating. The service-apartments are a cheaper option compared to hotels and are best suited for families with kids. The cheaper options are great for those who are traveling on a limited budget. 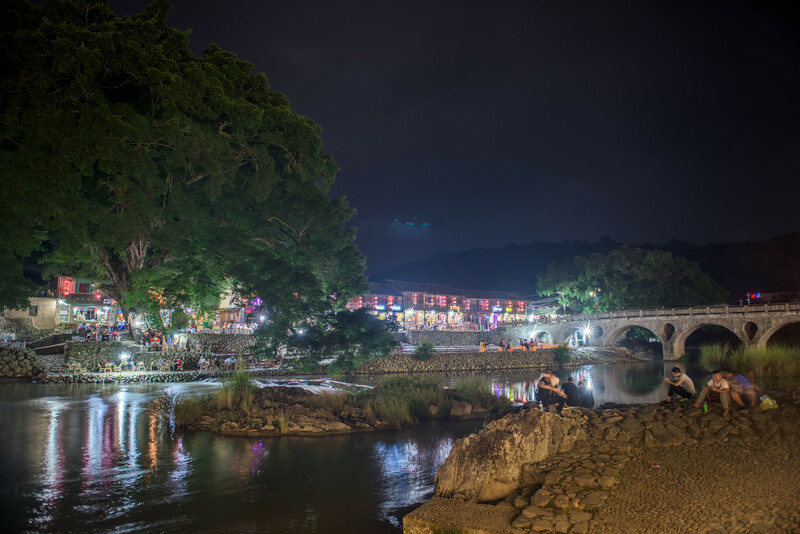 Declared a UNESCO World Natural and Cultural Heritage Site, the Wuyi Shan (Mount Wuyi) Scenic Area is the highlight of Fuzhou City attractions. The mountain is characterized by the breathtakingly spectacular Danxia landform which consists of tall cliff-faces with different shades of the red color. This colorful site is a must-see attraction will give visitors the best photographs of a lifetime! 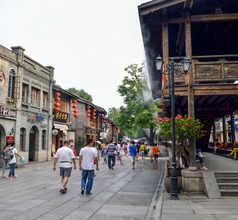 In the center of Fuzhou City is an attraction with an unusual name like “Three Lanes and Seven Alleys” or Sanfang Qixiang. 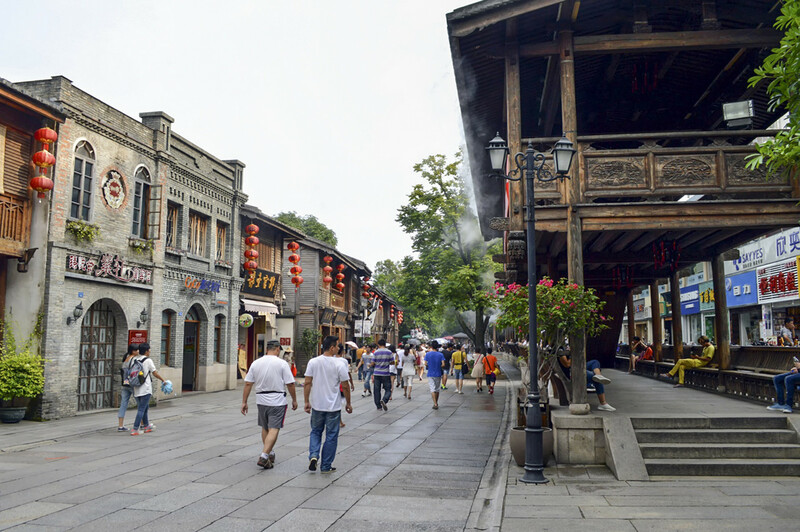 This area consists of over 268 ancient houses built during the Ming and Qing Dynasty reigns, of which 159 mansions have remained in a well-preserved condition as evidence of the city’s glorious past. The large mansions have the architecture that is typical of those periods. They not only showcase the rich history of the region but also display how affluent the city was even in ancient times. 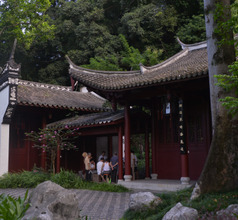 In fact, this locality is referred to as the “museum of Ming and Qing buildings”. The mansions were owned by politicians, writers, poets, and military leaders of those times. Each house has a special story to tell and has beautiful structures, stone carvings, wood carvings, landscaped ornamental gardens. Built next to the Taiwan strait, Fuzhou Changle International Airport is in Fuzhou, Fujian. 60 km from Fuzhou city, it takes an hour to reach from downtown and costs RMB20 by airport shuttle. Shuttle bookings are made a day in advance at CAAC Ticket office. The Changle airport connects to all major Chinese airports. Regular flights to Kuala Lumpur and Singapore are offered among other international routes and direct connections to Paris and New York. 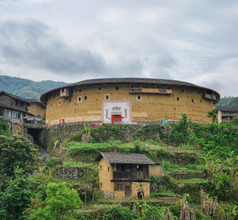 The province of Fujian is well-known for its Min Cuisine and the city of Fuzhou is a leading representative of this type of cuisine. Their dishes are lightly flavored compared to those in other provinces and are usually sweet and sour. Some of their famous dishes are Fo Tiao Qiang (Buddha Jumps over the Wall), Chicken Soup with Sea Clam, Litchi Pork, Mashed Taro, rice with seafood soup, fish balls, oyster cake, spring rolls, dried meat, shallot baked meat, dried meat floss, thin noodles, etc.